Your generous contribution to ISKCON of Alachua Inc supports year-round programs and initiatives. As good stewards of your donations, we follow clear guidelines in processing your gifts. All donations to ISCKON of Alachua support ISCKON’s mission. For donations made using the website, if you have made an error in making your donation or change your mind about contributing to us, we will honor your request for a refund made within 15 days of your donation. To request a refund, email alachuatemple@gmail.com. Refunds are returned using the original method of payment. If you made your donation by credit card, your refund will be credited to that same credit card. If you did not make your donation using the alachuatemple.com website, please get in touch with the temple office. 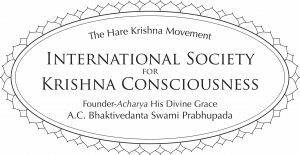 This website is dedicated to: ISKCON (International Society for Krishna Consciousness) Founder-Acarya His Divine Grace A.C. Bhaktivedanta Swami Srila Prabhupada.